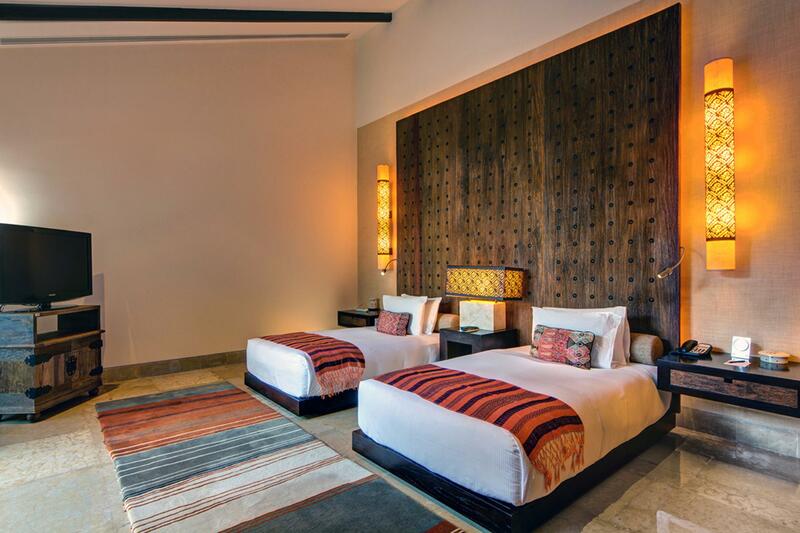 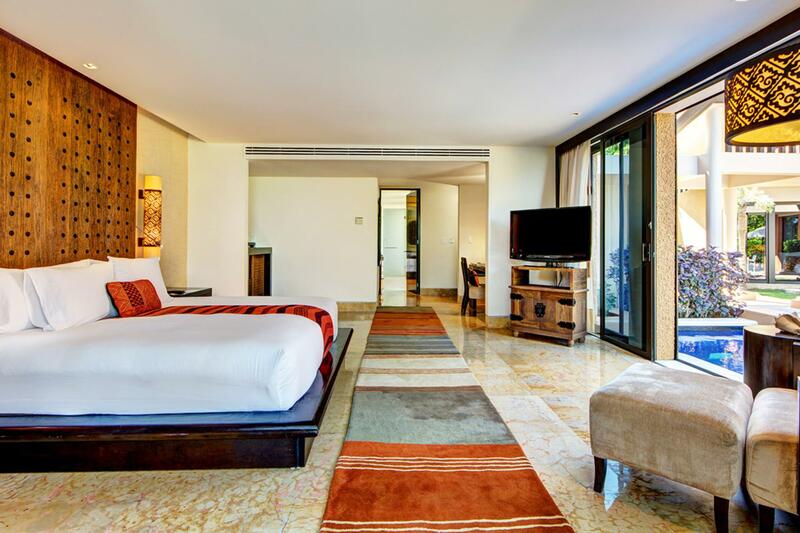 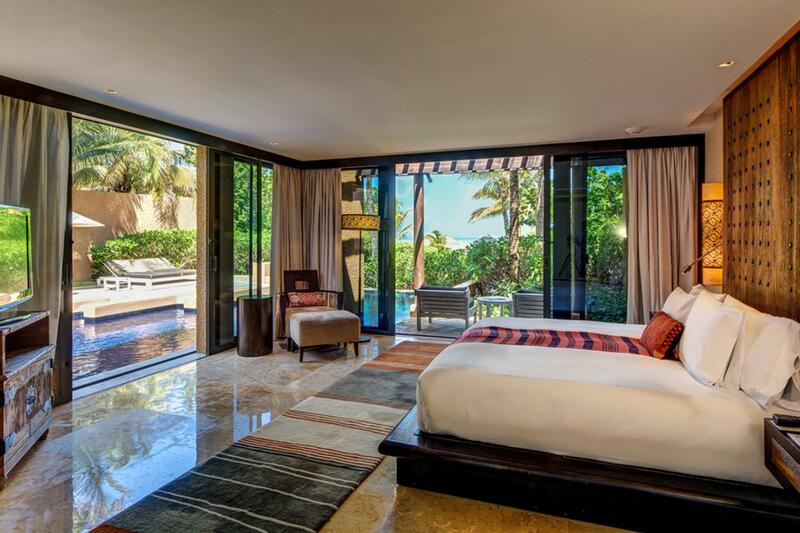 Just ten minutes north of Playa del Carmen, the three-bedroom Villa Malaquita is a tastefully decorated getaway within the gated Banyan Tree Mayakoba Beach Resort and Spa. 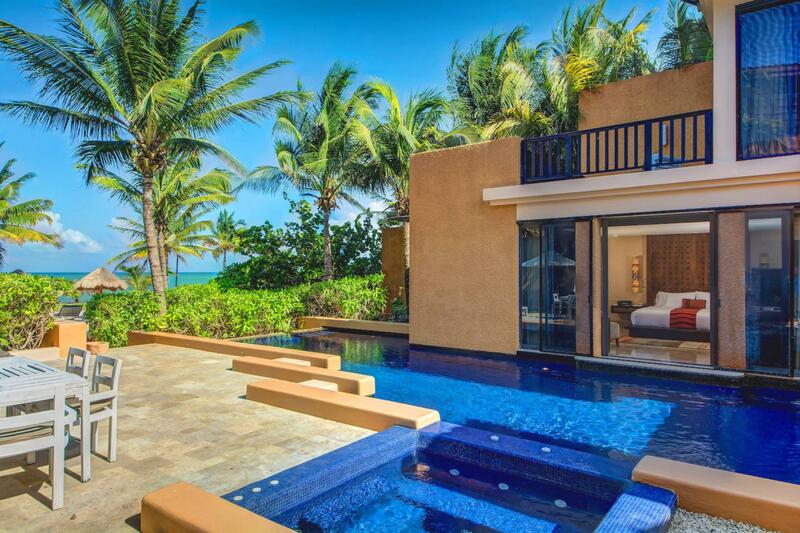 Only one of the seven villas with a stunning beachfront view, Villa Malaquita offers only the best views and the utmost luxury that Banyan Tree has to offer. 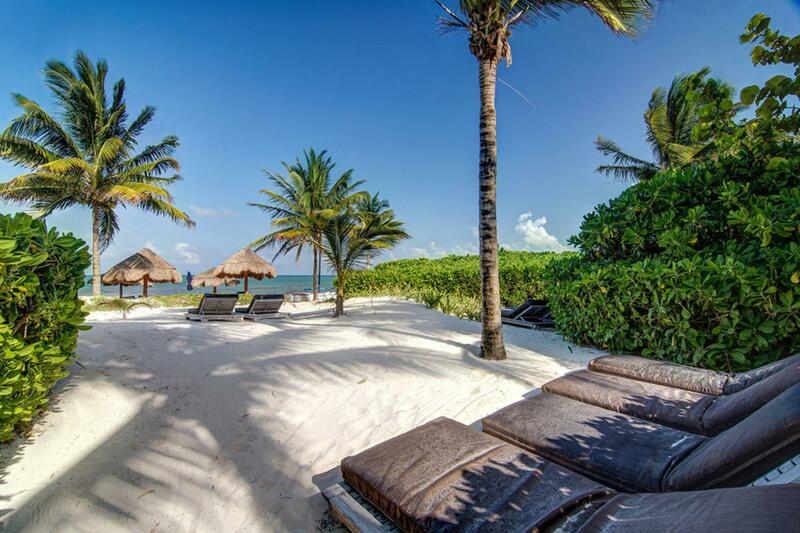 A grand and comfortable holiday home fit for six people, Villa Malaquita is tastefully embellished with a combination of locally made Mayan furnishings and modern facilities. 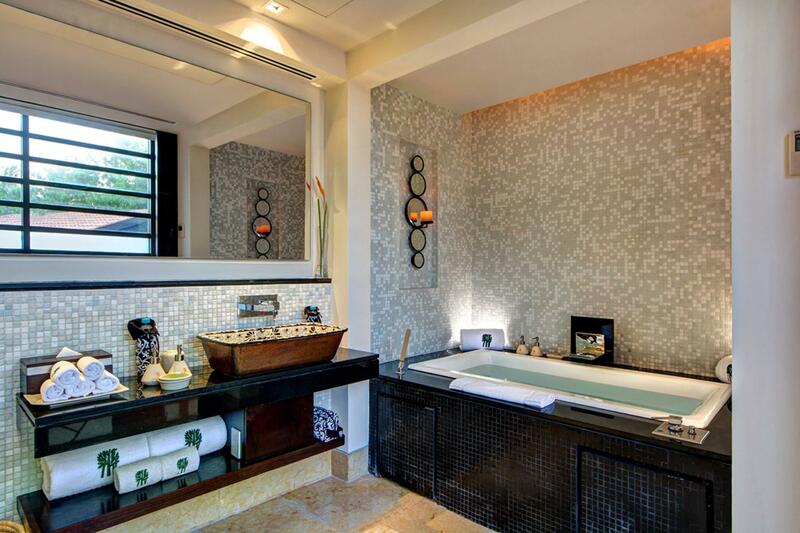 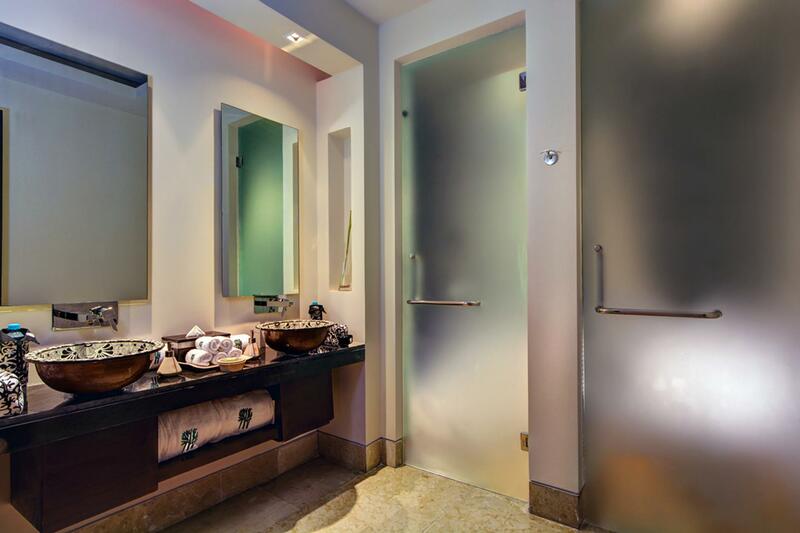 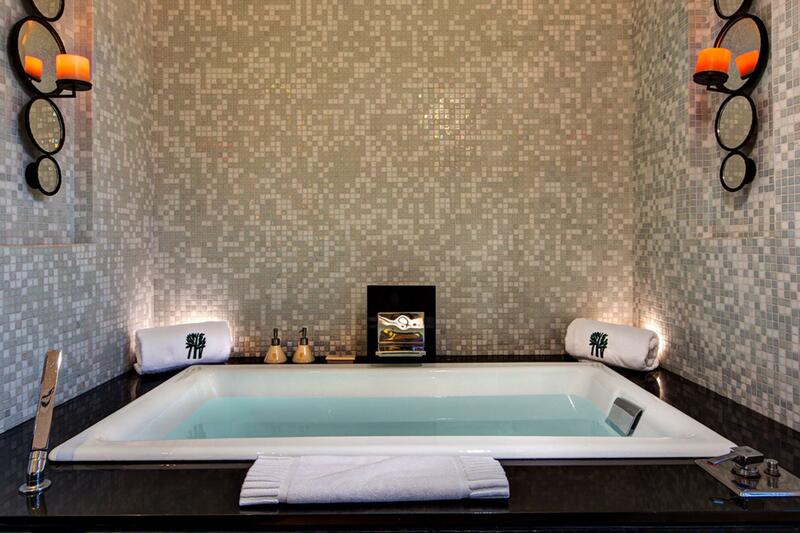 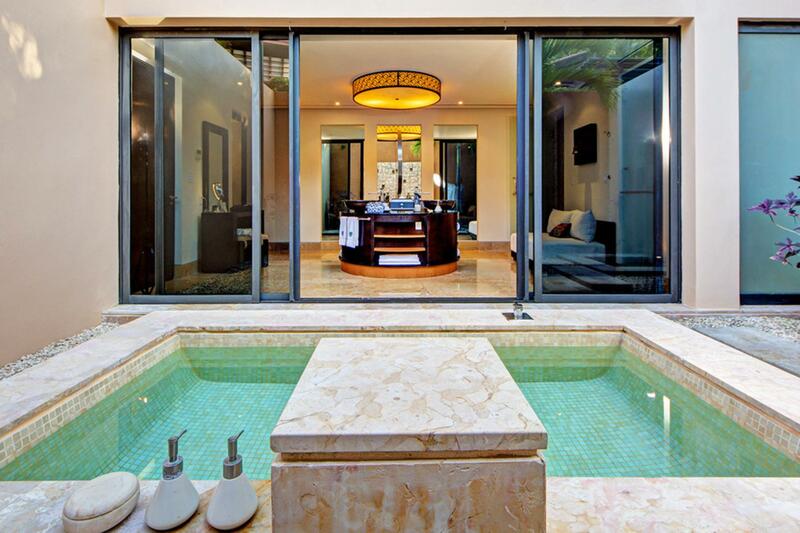 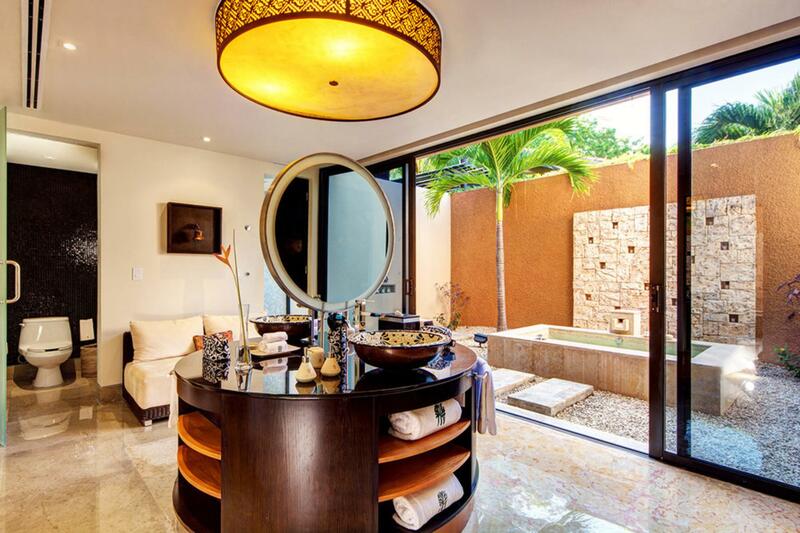 Each of its three spacious master suites have an en-suite bathroom, and one of these bathrooms opens to an intimately private courtyard with an indulgent outdoor bathtub and shower. 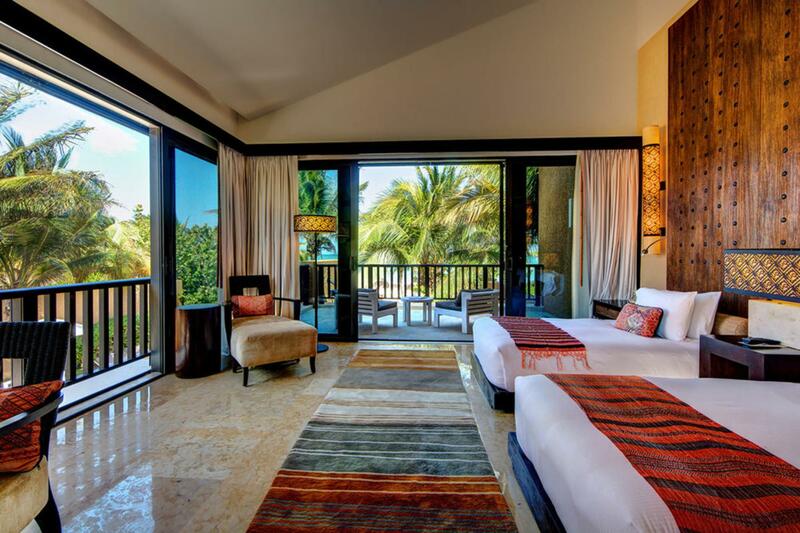 All of these grand bedrooms have a clear view of the majestic blue sea. 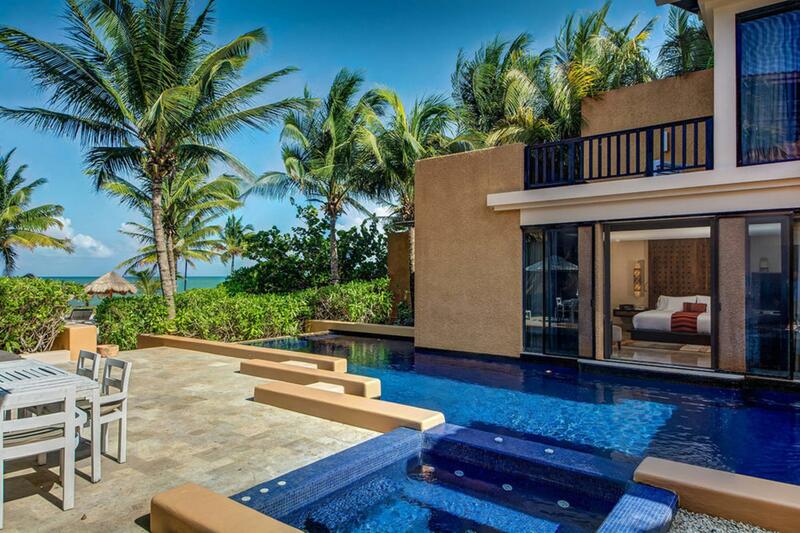 Stretching over 6,000 sqare feet of indoor and outdoor living space, this magnificent villa curls around a private and perfectly landscaped courtyard with an inviting infinity pool and spa. 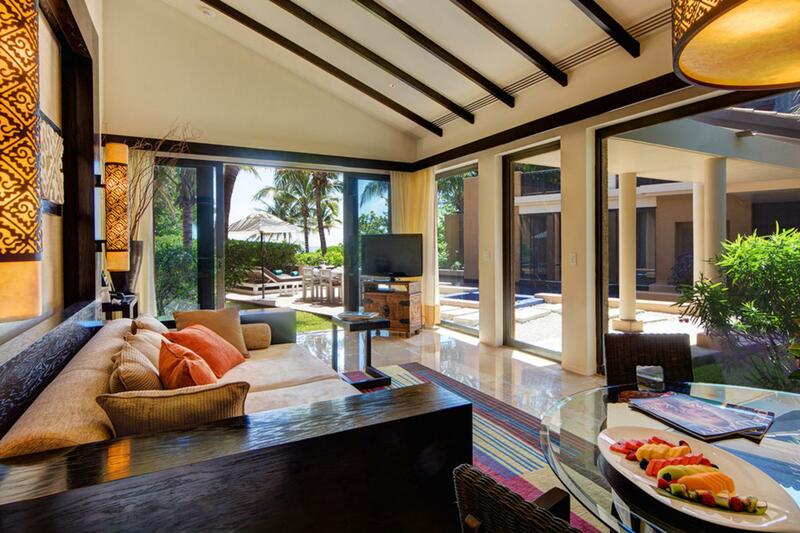 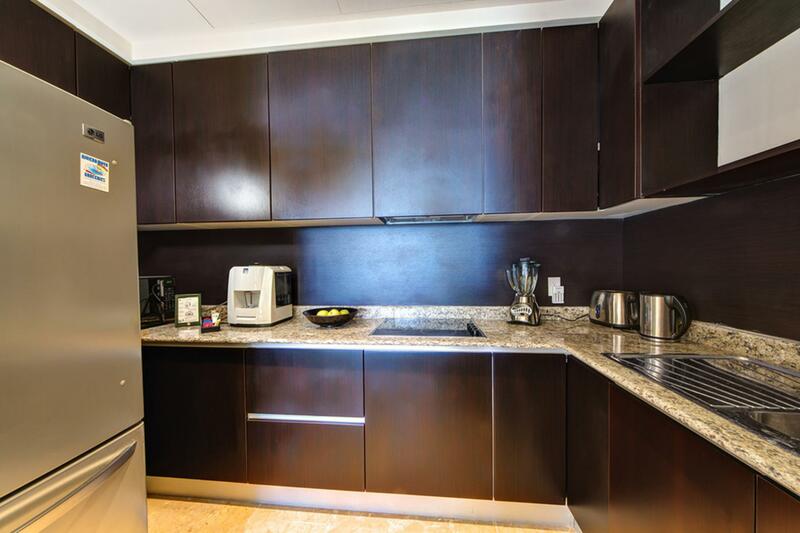 Villa Malaquita is also one of the few villas in Banyan Tree that has a kitchen for guests inclined to make their own meals. 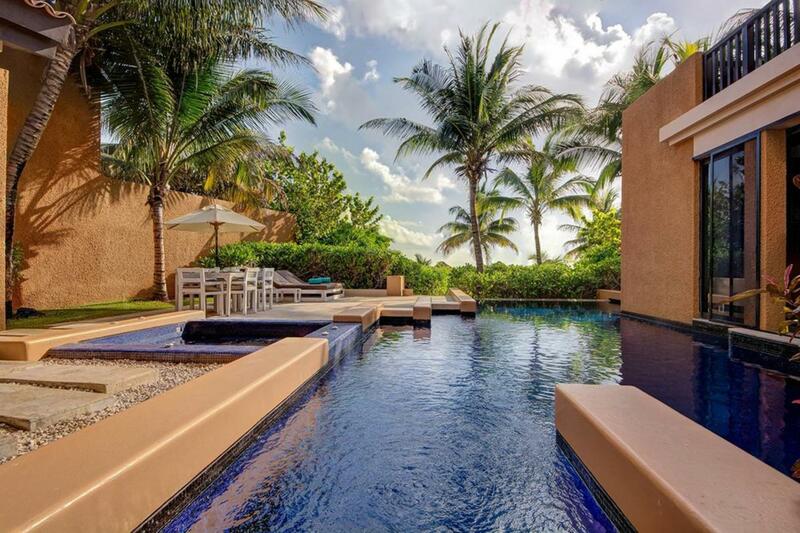 The villa is near some of the most brilliant sights of Riviera Maya, such as the world's second largest coral reef in Mayakoba, the famous Greg Norman 18-hole championship golf course, and the impressively maintained Camaleon Golf Course. 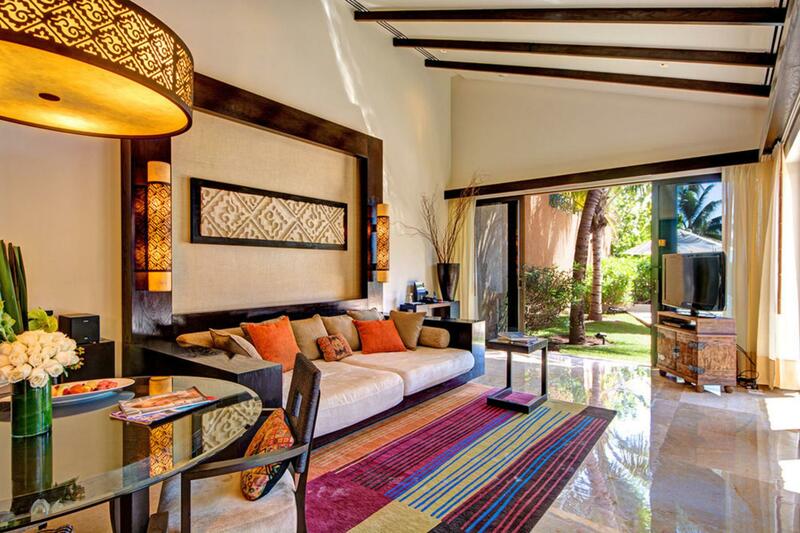 To book Villa Malaquita for your perfect Mexican escapade, click on the box to the right. 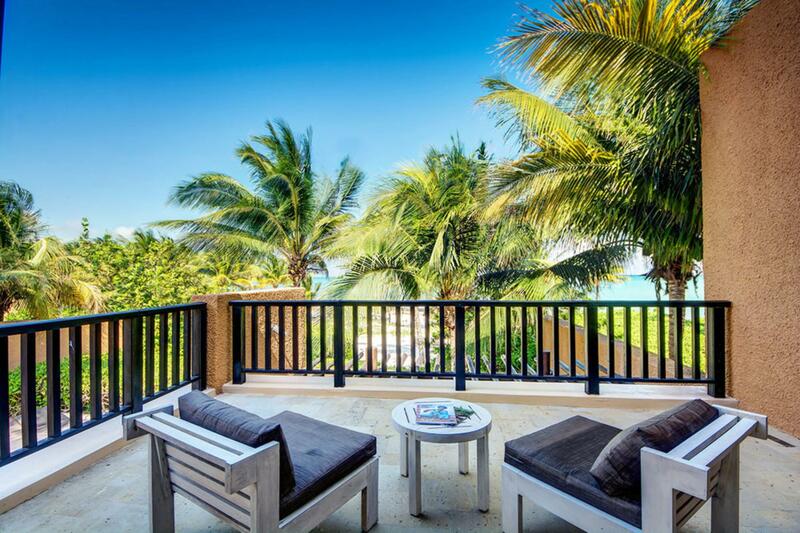 You're sure to get the best deals for your vacation through Villaway!